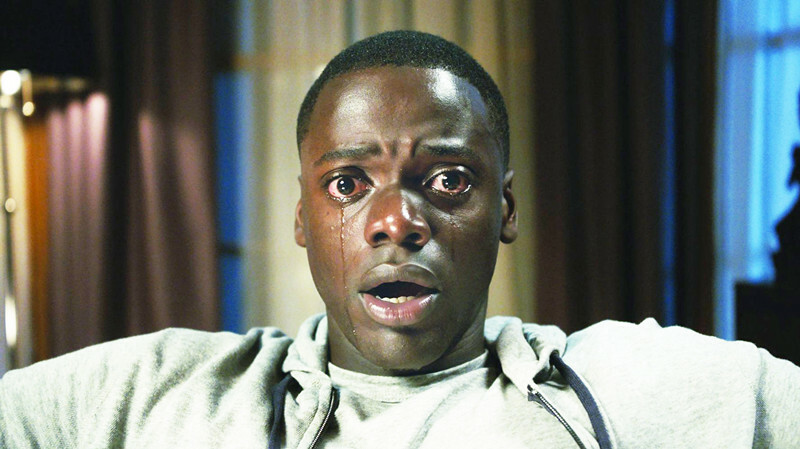 Movie critics love to talk about big disappointments, and it makes perfect sense. If you’re waiting months for a movie to come out only to be let down, you’re gonna wanna hop on the keyboard and talk about it. Pleasant surprises aren’t talked about nearly as much. More often than not, these movies get a brief comment about how they’re better than they looked and that’s the end of it. This time around, we’re going to recognize the year’s most surprisingly good movies. 2017 hasn’t been free of disappointments, but it has had a surprising amount of movie that turned out better than expected. With Rotten Tomatoes consistently on the rise, journalists are racing to get in their tomatometer predictions. The movies listed below are ones that wound up earning a much better critical response than expected. We’ve gotten the disappointments out of the way. Now it’s time to recognize the movies that defied expectations. Kate Mara just hasn’t had the best luck lately. While her sister keeps popping up in critically acclaimed dramas, Kate has had the unfortunate privilege of starring in Fantastic Four, Captive, Man Down, and Transcendence. She’s popped up in a few solid movies, but her ability to lead a movie has been questionable. Megan Leavey, her latest flick, looked like it had potential. A war movie about a woman and her dog appeared to be a concept that’s equal parts adorable and heartbreaking. However, movies like Megan Leavey also risk being manipulative melodrama, so it was hard to get your hopes up too much. 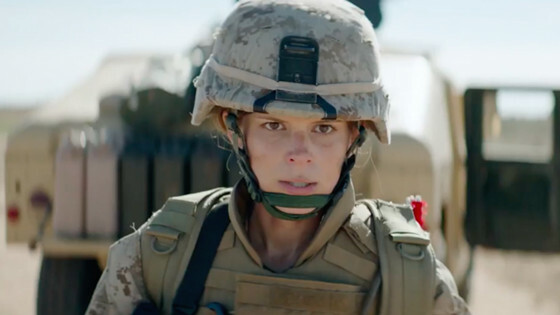 Megan Leavey never feels manipulative or overly melodramatic. It’s simply a well-told drama about a very special relationship between a soldier and her dog. More importantly, it gives us Kate Mara’s greatest performance to date. Mara never seemed like a bad actress, but her ability to pick good roles has brought her down in the past. It’s no wonder that people weren’t instantly willing to give Megan Leavey a pass. Kate Mara is the strongest aspect of the movie, but it’s not the only highlight. The film has a tight script, likable supporting characters, and plenty of jaw dropping moments. It’s not quite Oscar calibre, but it’s a great military drama nonetheless. If Mara can keep dishing out movies like this, we may finally get to see what she’s truly capable of as an actress. It’s easy to see that she’s an immensely talented performer, but her movies have been holding her back. Let’s see what the future holds. The Visit was a minor improvement over the usual Shyamalan dreck, but it didn’t necessarily redeem him as a filmmaker. After all, the dude put us through movies like The Happening and The Last Airbender. It would take a lot more than a minor success to gain the approval of the millions of people he disappointed during the past decade. Luckily, audiences got their wish when Split was released. The latest Shyamalan creation, about a man with split personalities, is one of the best reviewed movies in his filmography. After sitting through it, you’ll be able to see why. Most of the success is tied to McAvoy’s revelatory performance. 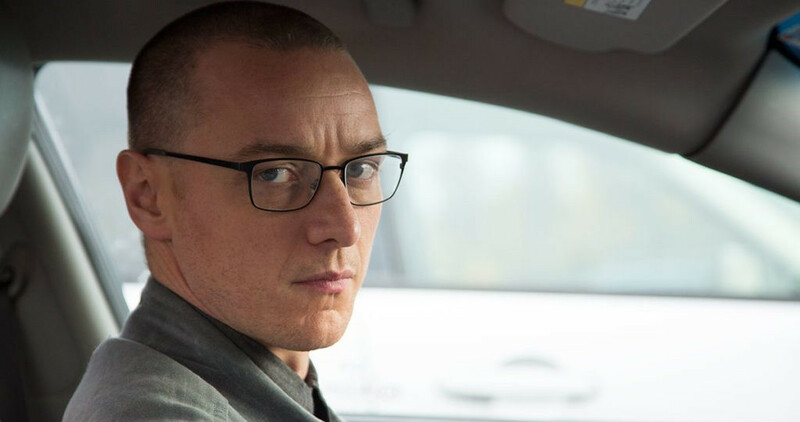 If you want to see an actor show off his range, give Split a look. McAvoy embodies each of the split personalities in a way that few actors could do. He’ll creep you out, he’ll make you laugh, and he’ll leave you excited for more. Meanwhile, Shyamalan’s script is a bit messy, but it’s still more cohesive than any of his recent projects. It stumbles into familiar territory toward the final third, but it’s easily forgivable thanks to all the other positive qualities. The final “twist” leaves the door open for future movies, so the characters from Split will definitely be making a return in the future. It’s weird to be excited about a Shyamalan sequel, but it’s starting to look like anything is possible at this point. By now, the movie has unfortunately been overshadowed by more noteworthy horror movies, but it’s still a blast from start to finish. This is a movie that’s easy to recommend regardless of how you may feel about the director. The reviews for Valerian are of all over the place. RogerEbert.com gave it a perfect score while New York Daily News said it was a movie that “never goes anywhere.” In other words, your enjoyment may vary. While Luc Besson’s return to science fiction is a bit empty-headed (hence the negative reviews), it’s actually incredibly entertaining assuming viewers are willing to check their brain at the door. The story is generic, the characters are one dimensional, and the dialogue is hit-or-miss. In theory, Valerian shouldn’t be a good movie, but the incredible worldbuilding and fast paced action make this a movie worth watching. Luc Besson is at his absolute best when he’s being creative. The Fifth Element is such a special movie because it’s so ludicrous and over-the-top. It’s separates itself from the competition because it successfully manages to prove to audiences that it can only come from one very unique director. Valerian and the City of a Thousand Planets also feels like a movie that could only come from Besson’s wild brain. Only a Luc Besson sci-fi flick could include Rihanna playing a shape-shifting exotic dance. In other words, this is truly the work of a visionary director. Those who need further proof need only examine the jaw-dropping world(s) created by the director. It’s evident from the very beginning that so much work was put into making the environments feel alive. Throughout the over two-hour journey, viewers will be introduced to countless different species, languages, and planets. Besson’s imagination is on full-display, and it’s utterly glorious. 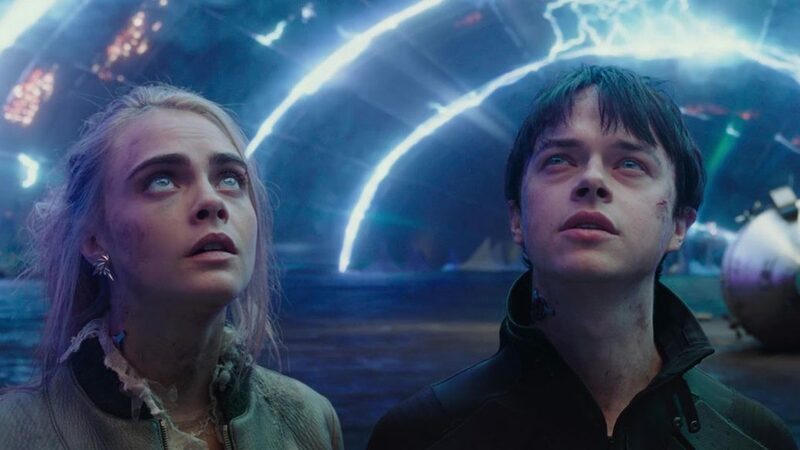 The aforementioned flaws are enough to ruin the experience for certain viewers, but there are so many other people who will appreciate Valerian for what it is. It’s not high-brow science fiction akin to Ex Machina or Predestination, but it never wants to be. Rather, it just wants viewers to have a good time and enjoy the scenery. WWE Studios isn’t exactly known for its critical or commercial slam dunks. It’s hard to trust the studio that gave us The Marine 5: Battleground and Jingle All the Way 2. Sleight, their latest production, didn’t appear to be a winner either at first glance. It’s coming from an unknown director, the premise is silly, and the tone appeared to be all over the place. Somehow, despite everything working against the movie, Sleight is actually a solid drama with an enormously talented cast and a hell of a lot of heart. The movie has two unfortunate downfalls. The slow pacing is sure to drive people away, especially if they’re expecting what was shown in the trailers. The trailers painted the movie as an action packed crime movie. In reality, it’s much closer to a family drama. Second, the story about an underdog trying to support his or her family has been done to death. 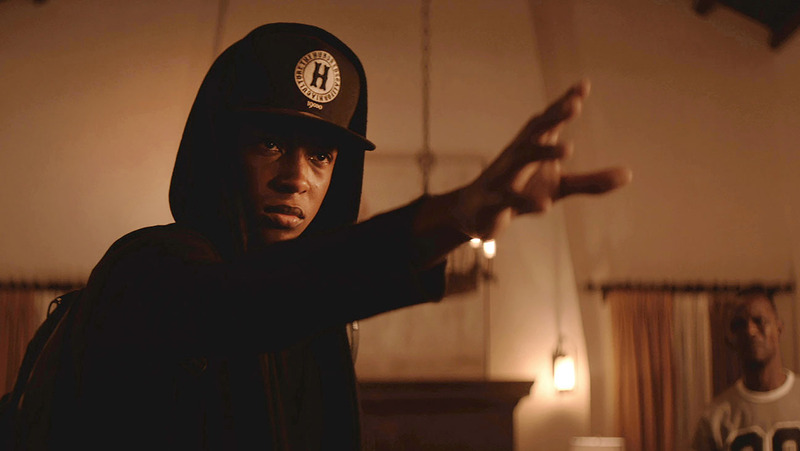 Despite the street magician twist, Sleight can’t help feeling cliché in spots. Those two issues prevent Sleight from being a future cult classic. However, it’s still a much better movie than it has any right to be. Jacob Latimore and Seychelle Gabriel put their hearts and souls into their performances. When the plot falls behind, there’s always the two leads to keep things interesting. It also helps that the movie really does have a big heart. Its tendency to rely on hamfisted clichés is unfortunate, but the film always manages to feel genuine. When so many movies feel like after school specials, it’s great to come across a movie that feels positively real. The low budget and lack of advertising unfortunately dooms Sleight’s chance of mainstream success, but that doesn’t mean it’s undeserving of attention. It’s definitely a frustrating movie to sit through because it’s so close to being extraordinary. Luckily, it has enough going for it to deserve ninety minutes of your time. This is clearly the work of an amateur filmmaker, but it’s also the work of a very passionate filmmaker. That should be enough to satisfy most viewers. Girls Trip came almost immediately after the eerily similar Rough Night. Rough Night underperformed at the box office and the critical reception wasn’t much better. Meanwhile, Girls Trip was an undeniable critical and commercial success. So what gives? The two films seem almost identical, so why is Girls Trip such a better movie? Actually, there’s more than one answer to that question. The cast has better chemistry, the writing is stronger, numerous comedy tropes are avoided, and there’s a much needed scene stealer. The film miraculously manages to avoid making the same mistakes as its competition. To be fair, the cast members in Rough Night weren’t completely lacking in chemistry. In fact, they seemed to have plenty of fun on screen. They just don’t have as much fun as the ladies featured in Girls Trip. Latifah, Smith, Haddish, and Hall come together to create a sort of comedy dream team. It’s hard to imagine the movie with one different cast member. Each actress feels like a necessity. Granted, there is an actress who manages to outshine her costars. Tiffany Haddish, the least recognizable of the bunch, is an absolute gem. Her comedic timing is flawless and her ability to play off of her costars is admirable. Still, she’s not enough to hold the entire movie together. This movie is such a delight because the cast members are capable of working together. The chemistry is arguably the movie’s strongest asset, but it pairs well with an incredibly funny script courtesy of Kenya Barris and Tracy Oliver. They didn’t necessarily write a unique movie, but they wrote a movie with consistently clever jokes and surprisingly heartfelt moments of drama. Girls Trip knows where it excels, so it makes an effort to avoid reminding viewers that this concept has been done before. By keeping the jokes coming, people are liable to forget that this a mixture of Bridesmaids, The Hangover, Rough Night, and countless other movies. As long as viewers are laughing, the lack of creativity hardly feels like an issue.